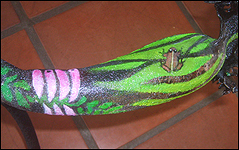 The project was designed by Adam to create jobs and awareness for conservation by making vuvuzelas out of kelp leading up to the 2010 world cup. The project provided opportunities to earn income by giving value to raw kelp and the plan was to develop workshops and a base through which to market the product which would continue after the world cup. 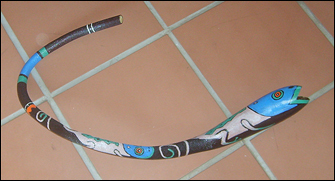 Workers were taught skills needed to paint the vuvuzelas and were able to earn a living by this work. Workers also learned about kelp and conservation through the process of collecting raw kelp along the coastline. 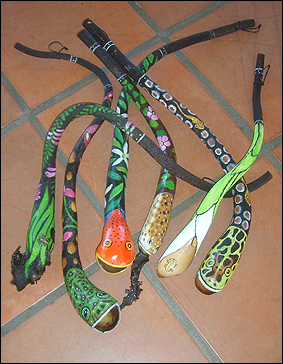 We developed a KELP education programme where people visit the rock pools and beach to learn about marine life and the kelp forests and then return to the workshop to paint their own vuvuzelas. 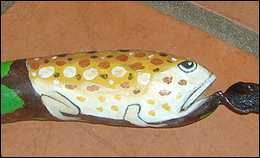 We also developed vuvu designs for use in environmental education and to draw attention to wildlife issues. 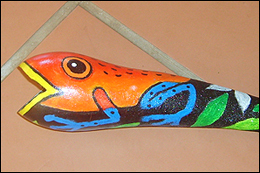 We designed a set of the endangered frogs of the Western Cape for CT Youth Environment School (YES) and Two Oceans Aquarium. While Adam handled customers and finances it was my job to collect kelp, train the workers and run the workshop, develop new designs and develop an education programme. The project was very popular with the media leading up to the 2010 world cup and we were having so much attention from the media that we could get little work done. We appeared a number of times on TV with various shows and in many newspaper articles. The staff began complaining that in their community they were seen so often on TV that their houses were getting broken into as people thought they must be rich and famous. We were able to grow the project to a point where we had three workshops. One at KEAG, one at the Ocean View Handicapped centre and one at Streetwires in Cape Town. At this stage we had 25 staff members and were producing thousands of vuvuzelas of all descriptions. As the project grew others took over the production workshops I developed and I concentrated on developing the education programme which was linked to the work I was doing at the Shark centre. Highlights for me were being interviewed by CNN and successfully doing our education programme at the MCEN (Marine Coastal Educators Network) conference in January 2010 where it went down very well. 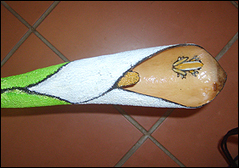 Following the 2010 Soccer World Cup the making of the kelp vuvuzelas as a social upliftment and commercial project ended. I am currently running the education programme as an independent programme that can be done at a variety of venues. 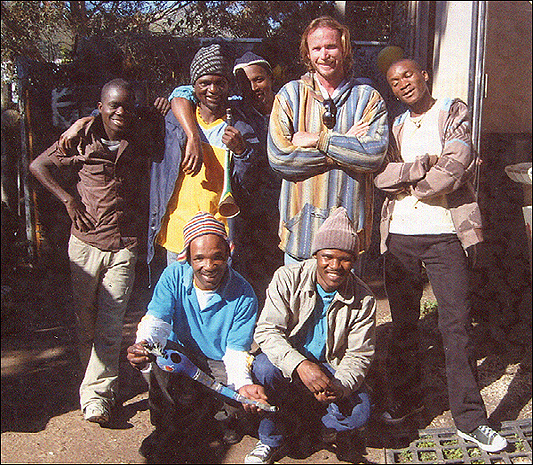 I have linked this with the Marine Wilderness and Surfing environmental education programmes I have been developing. 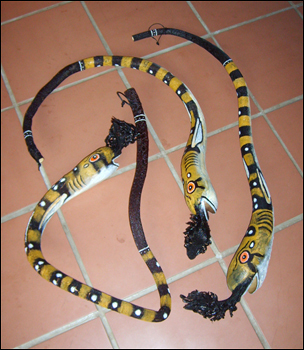 More about the education programs can be seen on the Education programs page and more info about my conservation work altogether can be seen by following the links at the side of the page.